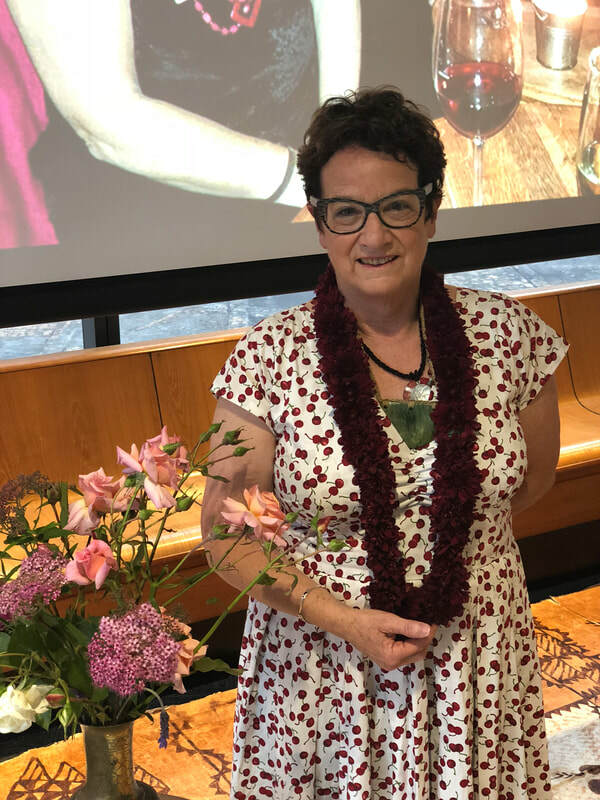 In November last year Allison Dobbie retired from her role as Principal Development Advisor Community Services at Auckland Libraries after decades of dedicated services to libraries. Allison gained a postgraduate diploma in library studies in 1974 from the NZ Library School and an MA in librarianship from Victoria University in 1988. She began her career at Dunedin Public Library in 1989 where she was responsible for restructuring and upgrading library services to create one library system. Allison worked there until 2001, when she took up the role of group libraries manager at Auckland Libraries. In this role she was responsible for Central City Library, 16 community libraries, a mobile library, website and digital library, 350 staff. In 2010 she took on the position of Manager Libraries and Information at Auckland libraries, where she has been responsible for the merger of 7 library systems consisting of 55 libraries and is the largest public library system in the southern hemisphere. Allison became an Honorary Life Member of LIANZA in 2010, a Registered Professional (RLIANZA) in 2007 and received a Fellowship (FNZLIA) in 1998. She was the inaugural chair of the LIANZA Professional Registration Board from 2007 to 2010 and was part of the Professional Registration Taskforce from 2005 to 2006. In 2009 she was appointed to Public Lending Right Advisory Group as LIANZA representative having previously been a member of the Creative NZ Working Group on Authors Fund. Allison was made a life member of NZ Society of Authors in recognition of this work. Allison also served as a member of Advisory Committee for Te Ara; the Online Encyclopaedia of New Zealand. She worked with the National Digital Forum to develop strategic direction, advocacy and expertise in digitisation matters across the cultural and heritage sectors. Allison has a strong interest in pacific libraries, she was co-founder and Chair of the first of the regional INELI programmes funded by the Gates Foundation, focusing on emerging library leaders and innovators from Australia, New Zealand and the South Pacific. We asked Allison if she would like to take the opportunity to make a statement about the future role of public libraries and what she identifies as being of vital importance to our citizens. Her thoughtful response follows. Throughout my career I have paid a lot of attention to the philosophy and principles of librarianship as the foundation of everything we do. I have found that these are such a strong basis that they transcend time, changing technologies and formats, and changing priorities. I frequently re-read the UNESCO Statement on Public Libraries. For me the key tenets have been the right to know through access to information; access to opportunity to learn and explore throughout life; the right to participate fully in society; literacy; democracy. They are always there to guide responses to short term challenge and long term planning. Some specific examples from my time in libraries have been defending the right of mentally ill people to use libraries, the introduction of copiers, computers and maker spaces; the importance of fiction; focussing resources on communities that otherwise miss out; free services; ensuring that libraries reflect and respect the communities they serve; embracing new ways of making information easily accessible, and taking an active role in promoting civic participation and democratic processes. Just as futurists were predicting that the internet would mean the demise of libraries, we were already noting the similarity between the 20th century digital divide and the illiteracy of the 19th century which drove the establishment of public libraries. Once again the role of the public library had never been more important in helping to address access to information through technology and supporting digital and other literacy skills. The move to e-government reinforced this role for libraries, to ensure that all citizens had access to the information and opportunities necessary to be able to participate fully and to stay connected as an important basis of democracy. Now we face global shifts in politics and media which challenge the very notion of information and truth. The role of the library for citizens has never been more important. I feel blessed that my career has covered a time of such change and such debate, and that I have been part of a profession with such a strong core of belief to support it. I also feel very fortunate to have worked in a profession that has such a strong basis of sharing and collegiality as fundamental. ​​I was co-founder and then Chair of INELI-Oceania, a programme focussed on the development of emerging library leaders and innovators in Australia, New Zealand and the South Pacific from 2014 – 2018. INELI (International Network of Emerging Library Innovators) was a Gates Foundation Global Libraries funded initiative, which included a Global INELI and then several regional programmes. As INELI-Oceania came to a close, we took the opportunity to host a Pacific Libraries Summit in Suva in May/June 2018, to bring together as many people as possible from across the whole Pacific. This included librarians and library leaders together with key funders and stakeholders. We were aware of how hard it was for library and archives colleagues working in Pacific Island nations to be heard or resourced, despite some really amazing and innovative service responses. The purpose was to build awareness of the important role of libraries in supporting the UN Sustainable Development Goals, to build advocacy skills, and to strengthen the networks between those who work in libraries in the Pacific. This was the first ever gathering of its kind, and the energy and excitement was extraordinary and very moving. The Summit agreed a Compact and Call to Action, signed by all those present. There was a clear desire to build a network and continue the momentum. Subsequently a follow up workshop was held to develop a Strategic Action Plan and identify a small group of Pacific-based librarians to carry this forward. The priority goals and actions have the potential to be transformational for Pacific Libraries and librarians. The context is powerful. We are the Pacific. We recognise the complexity of our region and its diverse interests. We recognise the contribution of all countries in the Pacific as equal partners. We recognise the value and contribution of the library field to the achievement of the SDG’s. It is our time. So New Zealand is part of this network and has an important role to play. The opportunities of the LIANZA 2019 Conference and IFLA 2020 will be important opportunities to host and involve as many Pacific colleagues as possible. For more information check the website www.pacificlibrariesnetwork.com and join the Pacific Libraries Network facebook page. I strongly believe the best difference we can make in this or any other area of librarianship is to invest in people and to invest in our future leaders. Personally this work with the Pacific has been particularly rich and rewarding. We wish Allison all the best for whatever the futures holds.